‘Invasion of Privacy’ is not just a hit, it’s a Grammy award-winning hit. Cardi B just made Grammy history. 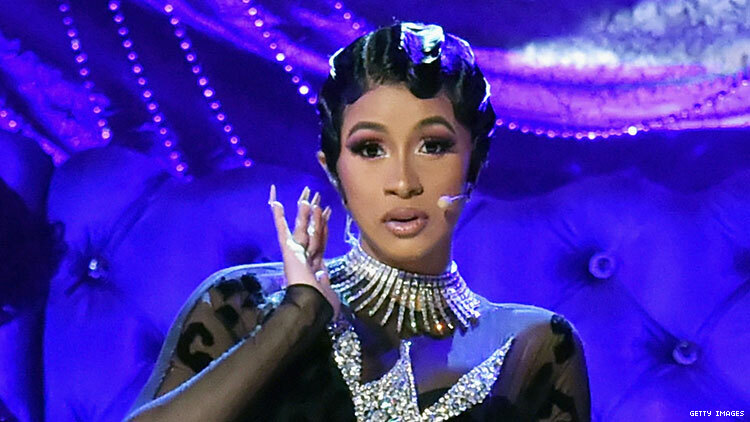 Afro-Latina rapper Cardi B took home the Grammy for best rap album for her hit 2018 album Invasion of Privacy, making her the first solo female rapper to win the honor. Privacy featured the singles “Bodak Yellow” and “I Like It,” both of which reached #1 on the Billboard Hot 100. Cardi B cried as she took the stage next to rapper Offset, her husband and the father of her child. During her acceptance speech, she thanked her daughter as she spoke through nerves. Cardi went on to thank all the artists who appeared on her album, including SZA, J Balvin, and Migos, the rap group that includes Offset. In the past, female rappers like Eve, Missy Elliott, and Nicki Minaj have been nominated for the honor, but none have taken home the gramophone statue. The Fugees, a group featuring multiple Grammy winner Lauryn Hill, took home the award in 1997. Earlier in the evening, Cardi B performed her new hit song “Money” and was a fan favorite for her energetic performance. Aside from being a Grammy award-winning rapper, she is also an avid politico who has often used her Instagram presence to take down president Trump for the now-finished government shutdown. Cardi B is also nominated for album of the year for Invasion of Privacy. Rapper Lil' Kim tweeted her congratulations to Cardi B after she won.